Carly Rapaport-Stein is the Executive Director of Intercultural Journeys. Prior to her work at IJ, Carly spent time as the communications manager at Mural Arts Philadelphia, the graduate program assistant for Drexel University's Arts Administration Program, the special projects administrator at Community Integrated Services, and as a voice, choir, piano, and music theory teacher. In addition to her work at IJ, Carly serves as an adjunct instructor in Drexel University’s Entertainment and Arts Management program. Carly is passionate about the arts community in Philadelphia, particularly arts organizations that seek an intersection between creative work and social justice. She served as the President of the Board of Drexel University's Arts Administration Graduate Association, as a grant panelist for the Philadelphia Cultural Fund and Pennsylvania Partners in the Arts Advisory Panel, on the development committee for The Best Day of My Life So Far, and as a grant writer with Relache. She holds a Bachelor's of Music in Voice Performance from Westminster Choir College, a Master's of Music in Opera Performance from Temple University, and a Master's of Science in Arts Administration from Drexel University. In her free time, Carly can be found reading, drinking coffee, volunteering with The Food Trust, analyzing politics and policy, or out and about taking photographs around Philadelphia. Alex Shaw is a percussionist, vocalist, composer, curator, and arts educator specializing in Brazilian music traditions. An alumnus of Swarthmore College, Alex settled in Philadelphia in 2000 and soon became deeply embedded in the dynamic community of percussion and drumming. He is a long-standing member of Philadelphia's award-winning Spoken Hand Percussion Orchestra and Director of Brazilian ensemble, Alô Brasil. A freelance arts educator since 2001, Alex has taught, lectured, and performed regularly throughout the mid-Atlantic region, and has also worked as an accompanist for several dance companies and universities. 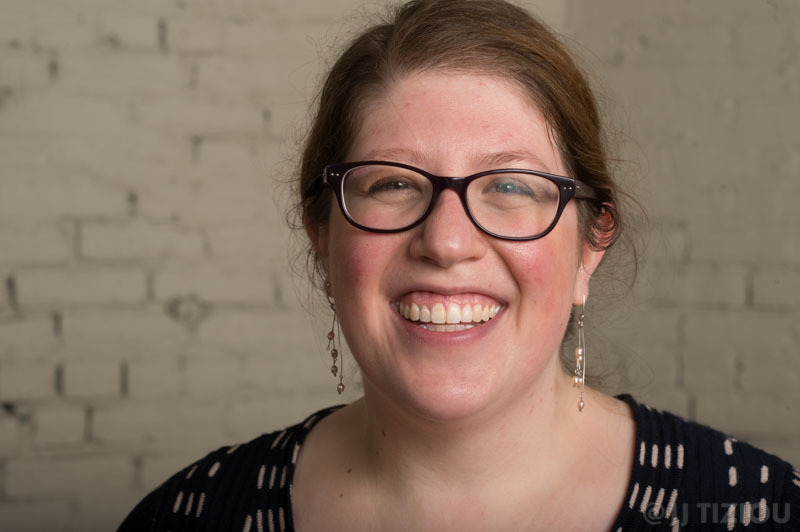 Since 2008, Alex has served LiveConnections as both a board member and a lead facilitator for their music education programming. He joined the music faculty at the University of the Arts in 2010, and in 2014 Alex also became curator for Intercultural Journeys. He has been awarded several competitive artist grants to support his music research and study in Brazil, including Arts International’s Artist Exploration Fund (2004) and the Independence Foundation Fellowship in the Arts (2007). In 2012 he was honored with an Emerging Legacy Award at the UPenn MLK Commemorative Symposium for Social Justice. In his most recent artistic project, presented in 2014 by Intercultural Journeys, Alex directed a collaborative tribute to the cultural legacy of the Afro-Brazilian martial art Capoeira Angola. This project featured original compositions and contemporary arrangements of traditional capoeira songs combined with vintage live visuals.